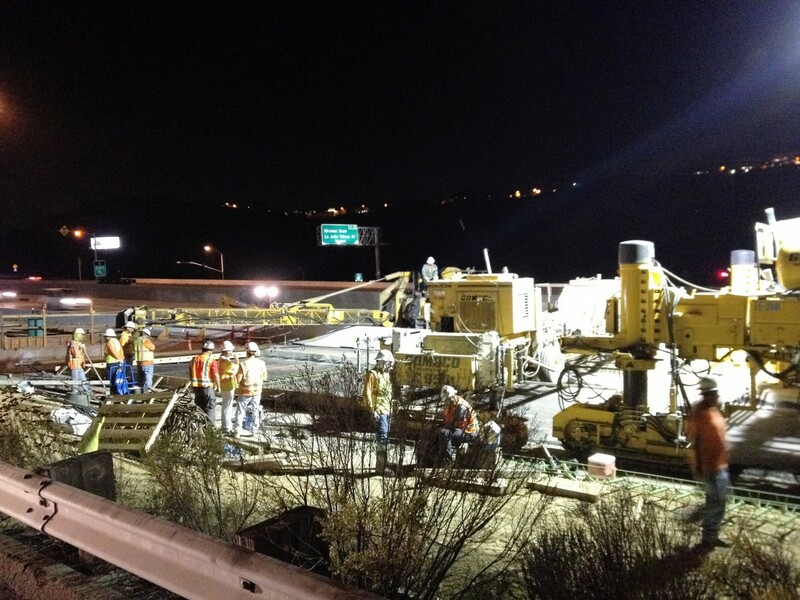 On one of the busiest freeways of San Diego County, Coffman Specialties, Inc. completed a 3.5 mile HOV addition to I-805 NB and SB and outside widening through Sorrento Valley to alleviate the traffic congestion. 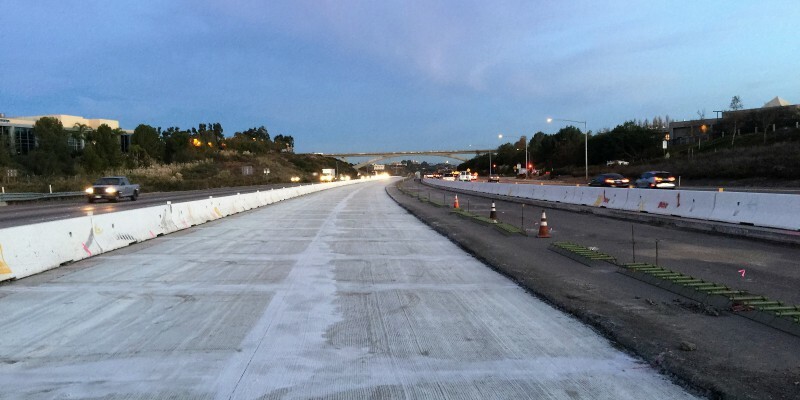 In June of 2016, the HOV lanes were opened along with the Direct Access Ramp (DAR) for easy access for commuters and buses to enter and exit the freeway at Carroll Canyon Rd. 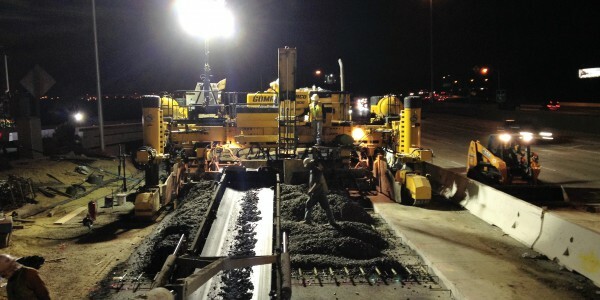 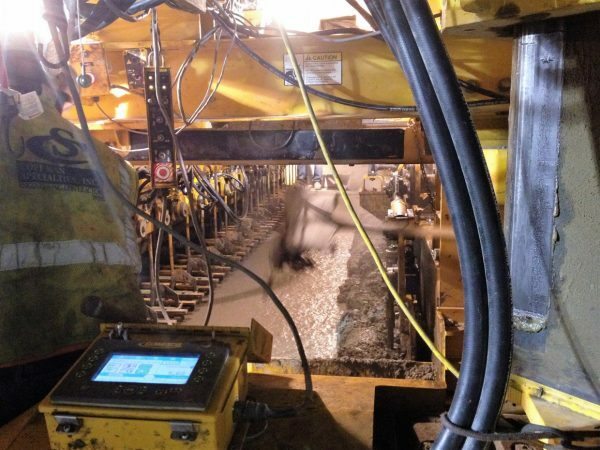 24,000 CY of Jointed Plain Concrete Pavement (JPCP) Placed using Dowel Bar Insertion. 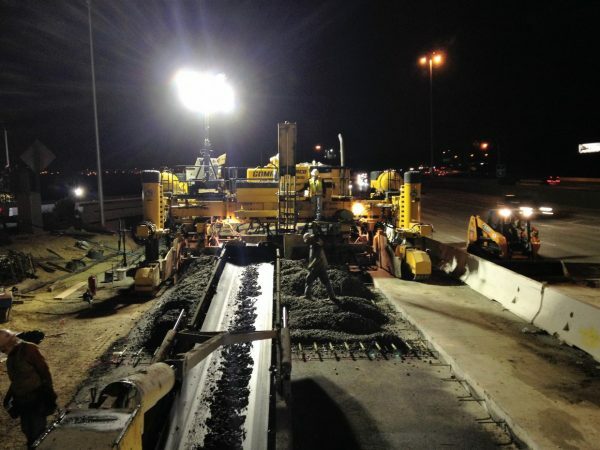 3 Miles of Concrete Barrier paved by slipform paver in center median. 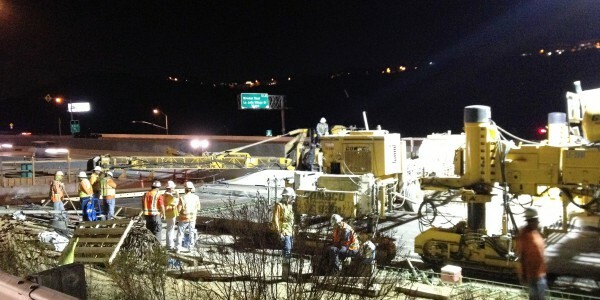 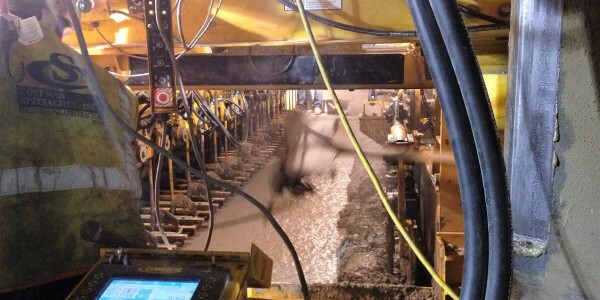 Rapid Strength Concrete placed during 24 hour weekend closure.